We’re 30,400 people who connect homes, mobile phone masts, schools, shops, banks, hospitals, libraries, broadcasters, governments and businesses - large and small - to the world. 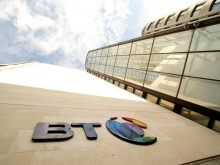 Our mission is to build the best possible network, with the highest quality service, making sure that everyone in Britain can be connected. We’re the platform for Britain’s thriving digital economy, which is the largest in the G20. We work on behalf of more than 580 communications providers like SKY, TalkTalk, Vodafone, and BT, and our fibre broadband network is the biggest in the UK, passing more than 26.5 million premises. Over the last decade, we’ve invested more than £11 billion into our network and we now manage more than 158 million kilometres of cable stretching from Scotland to Cornwall, from Wales to the east coast. We’re continuing to take that network further - making superfast broadband speeds available to thousands more homes and businesses every week. 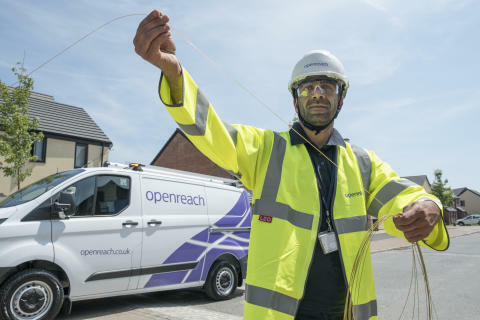 Openreach is a wholly owned and independently governed division of the BT Group, and it is a highly regulated business, with more than 90 per cent of its revenues generated from services that are regulated by Ofcom.